18cc of raw power, the Lohmann is a two-stroke compression ignition oddity. 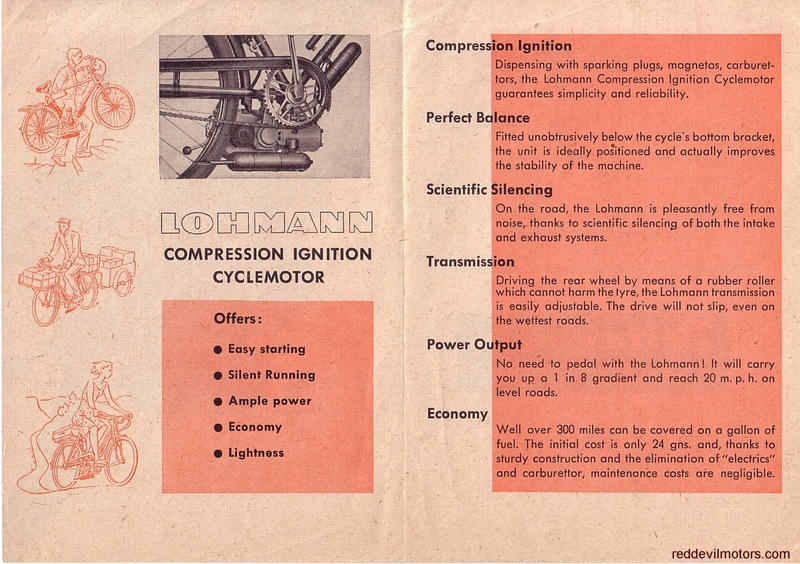 The Lohmann has a variable compression control and though commonly referred to as a diesel cyclemotor it was infact designed to run on paraffin. 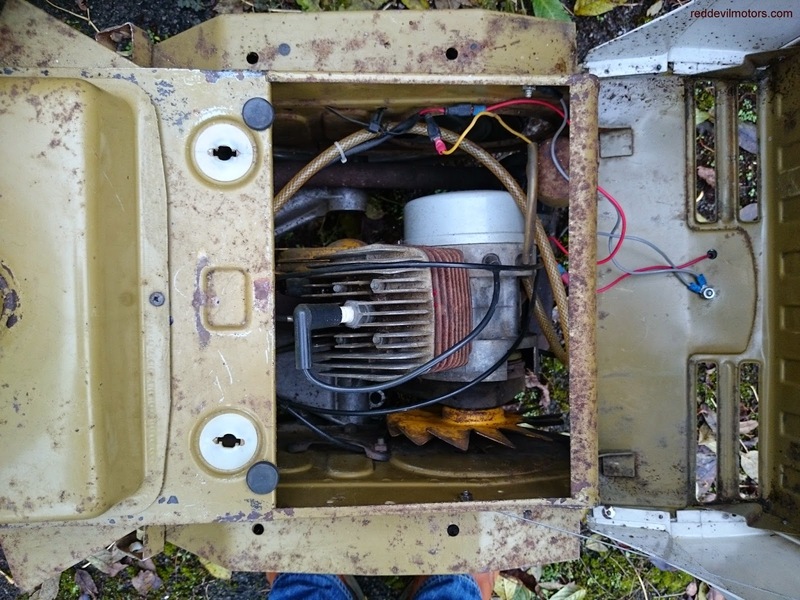 A petrol / diesel / paraffin / two stroke oil cocktail however apparently in reality suits the motor best. The Lohmann was imported to the UK by Britax in 1952 and 1953. Britax also imported the Ducati Cucciolo, a machine at the opposite end (functional as opposed to disfunctional) of the cyclemotor market. 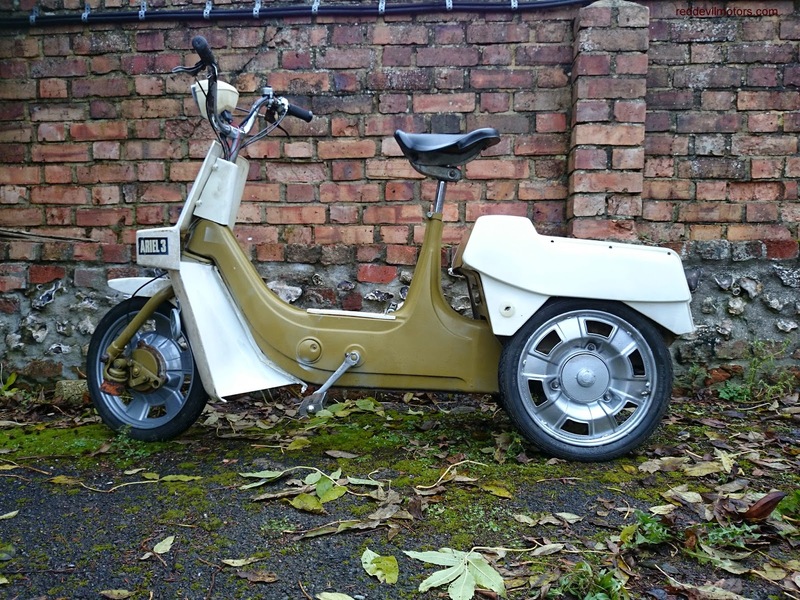 There's a great potted history of the Lohmann company on the Iceni Cyclemotor and Moped site. 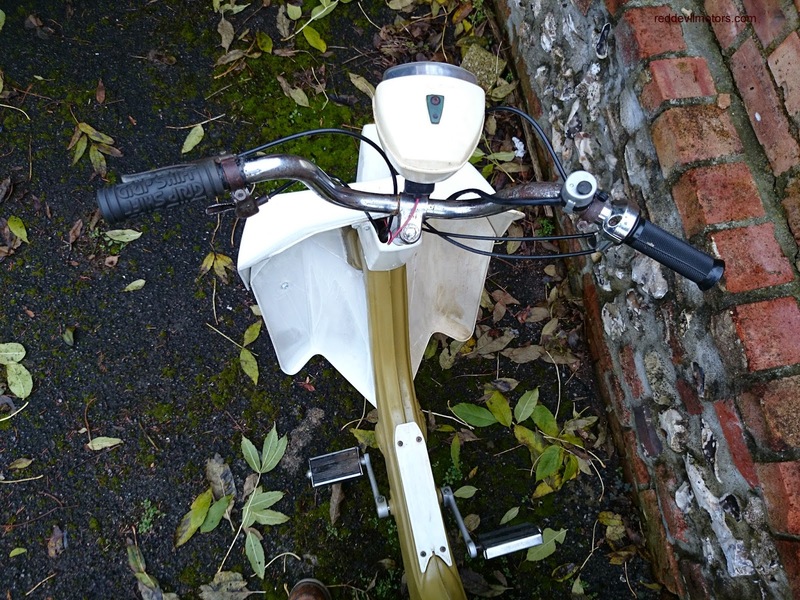 The same article includes a test ride, you are left wondering why anyone would want to spoil a perfectly decent bicycle with one of these horrors! 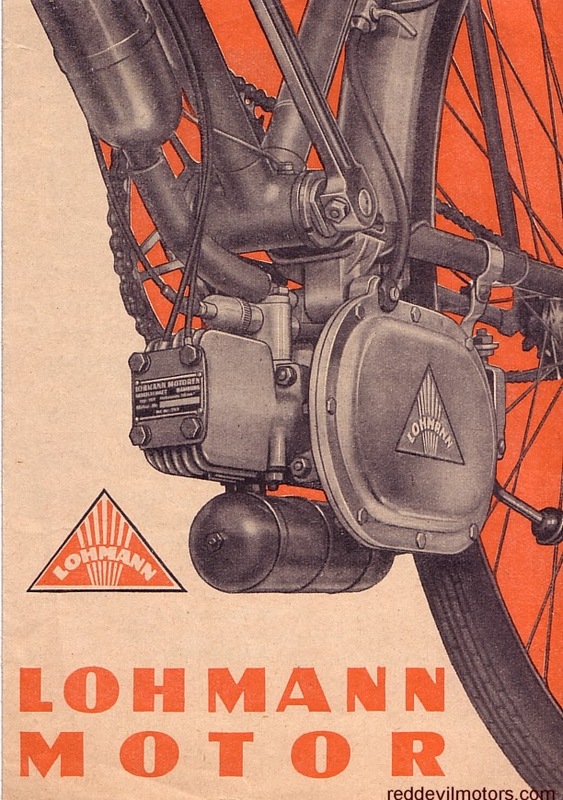 Lohmann cyclemotor brochure front cover. Lohmann cyclemotor brochure centre pages. 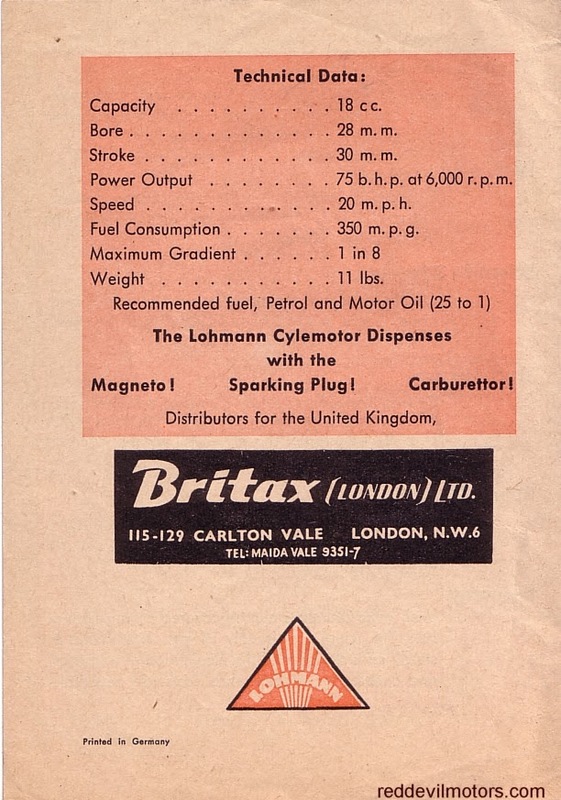 Lohmann cyclemotor brochure rear cover. 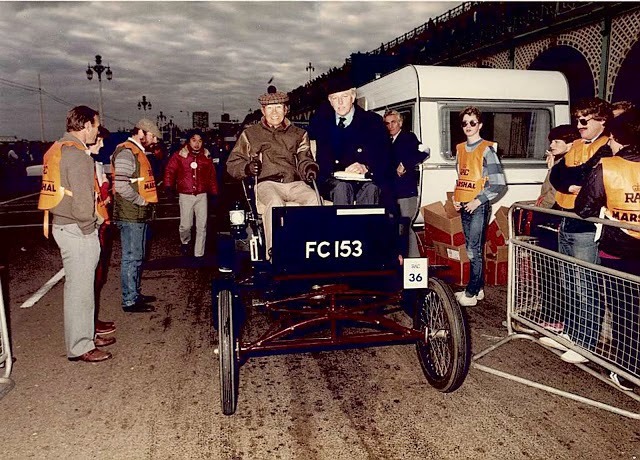 Soichiro Honda on Madeira Drive, Brighton. 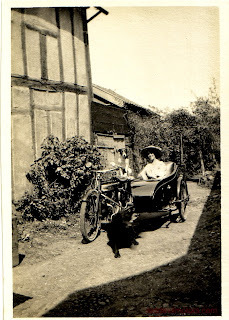 When I was young my father regularly took me along to spectate the London to Brighton Veteran Car Club Run. Back then there was a classic car show held at the same weekend at the Grand Hotel, the same place as was bombed by the IRA when the Conservative annual conference was held there. In 1985 we went to the show first and then watched the cars come in along Madeira Drive. 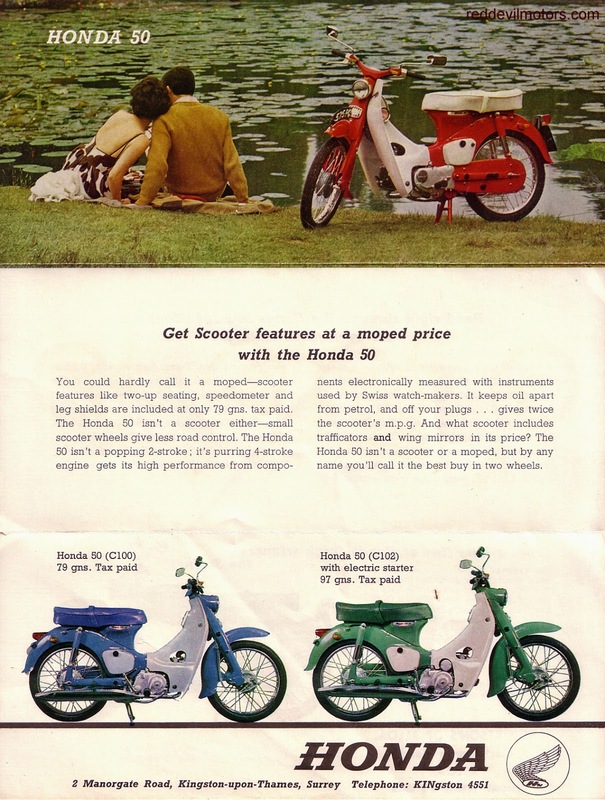 At the show we wondered around the autojumble and, bike nerd that I was from an early age, I picked up this early sixties Honda Cub brochure. As we were mingling with the arriving cars one rolled up carrying a guy who was attracting a lot of attention. It turned out to be Soichiro Honda. At the time he was 79 years old and he looked quite cold and tired (London to Brighton on the back roads in a veteran car is a fair journey for anyone and the weather on the Downs in November is usually grim). Undeterred by his weary state and the throng of spectators I hustled forward with my Cub brochure and asked him for his autograph. He was a gentleman, extremely polite and obliged with a signature slightly shaky from the cold. I like to think that he was flattered that a young lad from England was in awe enough to request his autograph (it's the only one I've ever asked for in my whole life) brandishing a copy of a brochure for his meisterwerk and this is why he signed as opposed to simply being taken aback and not wanting to say no. I did feel slightly bad after as he obviously just wanted a cup of warm tea and I opened the flood gates of autograph hunters and hand shakers. The signed brochure has become one of my most treasured possessions and as time has passed my admiration for Soichiro Honda has increased. That the Cub is the greatest motorcycle ever designed and produced is nowadays not a particularly controversial view. Soichiro Honda is an absolute hero of the twentieth century and possibly did more to improve the lives, lifestyles and affluence of people in developing nations than any other person. The Cub brought cheap and dependable transportation to the masses. 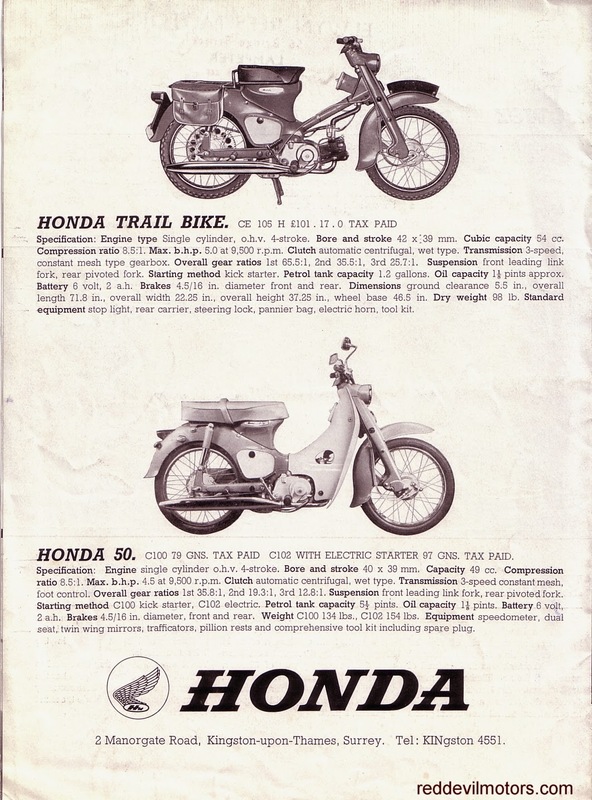 Honda Cub brochure front side (folded out). 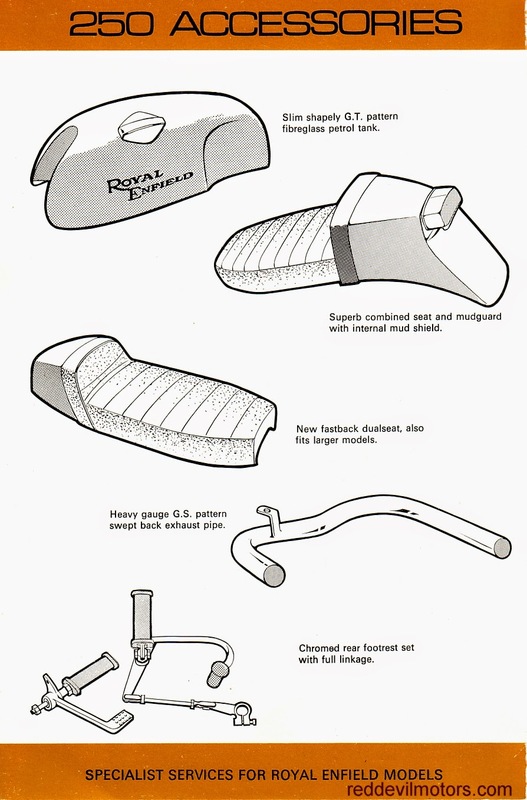 Honda Cub brochure rear side (folded out). Check out the signature at the bottom! A late fifties Francis Barnett (model Falcon 74?) all loaded up and ready to travel. The rider and pillion have the jackets and helmets but the footwear leaves something to be desired! From a modern perspective it seems like the little Francis Barnett would have been overloaded and underpowered but you've got to remember that the roads of the time were fairly quiet and mostly populated by other small bikes and low powered cars like sidevalve Ford Pops that would cruise at 40mph. Francis Barnett Falcon gets a touch of glamour. Handsome couple all loaded up ready for their holiday. Wishing all a very Merry Christmas. Unusual Christmas sentiment from times past! Wonder if there are any survivors or if more than one was ever built? 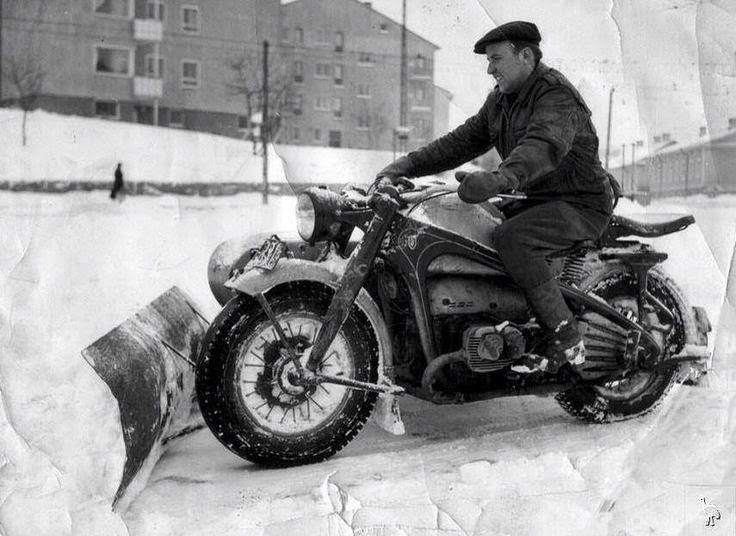 Looks like fun, the weight would be sure to keep the sidecar planted down without need for ballast! 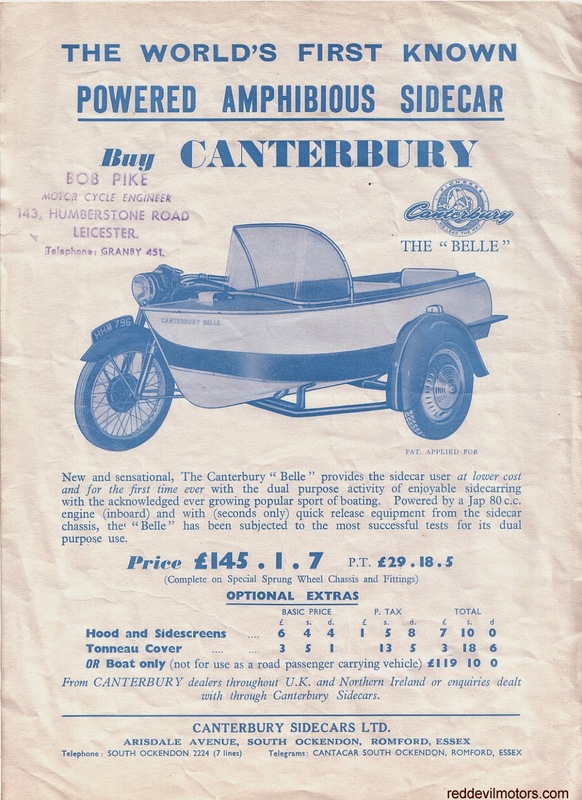 The Canterbury Belle amphibious sidecar. A quartet of photos of a Douglas combo. I'm putting the date as immediately post WW1, 1919? Comments welcome. Looks like they were enjoying themselves. Not sure about the suitability of the headgear for motorcycling though! 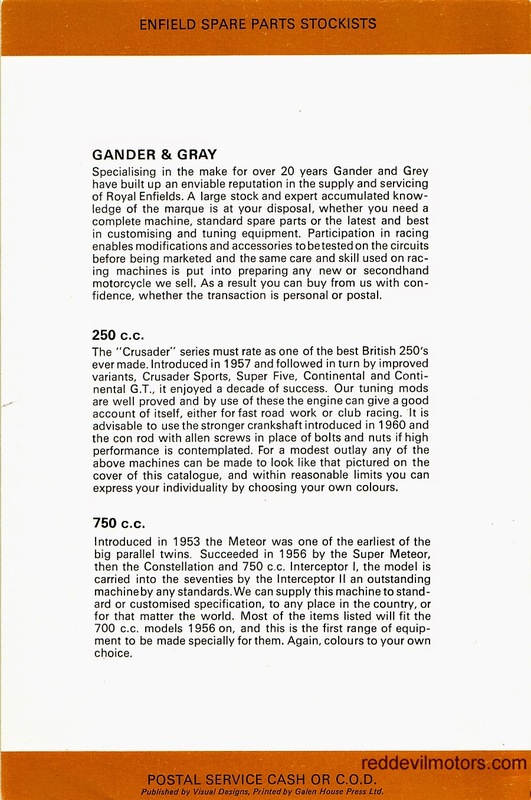 Gander and Gray accessories brochure for the Crusader / Continental and Interceptor models. 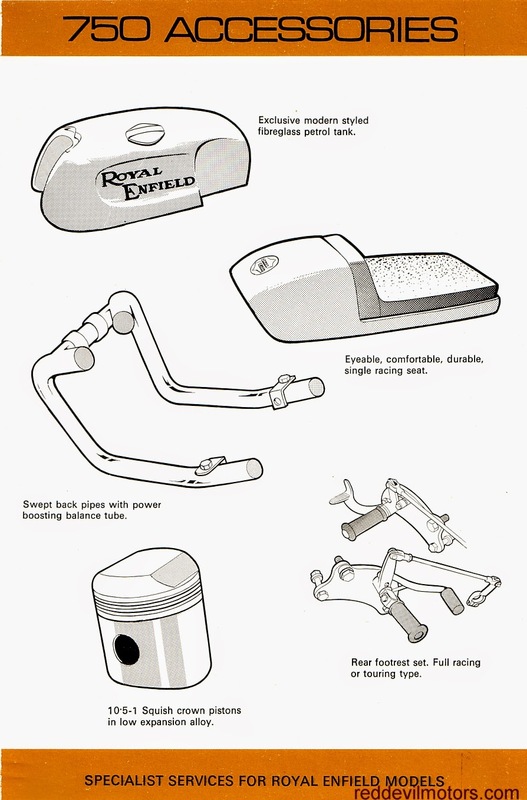 Gander and Gray played a part in the development of the original Continental GT model with the styling of their aftermarket tank and seat units. Not too sure of the year of this catalogue, looking at the bikes it's certainly post '62. It's time for the annual winter rally call to arms. Time to dig out those handlebar muffs, fill up a hip flask, head off into the icy gloom to stand around a bonfire in the company of fellow lunatics with the fortification of strong spirits. As in previous years here's a list of established winter rallies, a couple I know to be good from personal experience, others I have heard good things about. If you got rally details from here and attended how about sending in some photos. Altes Elefantentreffen. 20 to 22 Febraury 2015, Nurburgring Germany. Confusingly the'Old Elefant rally' is in fact the upstart new Elefant Rally and held at the Nurburgring. Elefantentreffen / Elefant Rally. 31 January to 1 February 2015 Loh/Thurmansbang-Solla near Passau, Germany. The original Elefant Rally. Dragon Rally. 7 & 8 February 2014, Wales. The British Elefant and a grand tradition. Force Ten Rally. 2 to 4 January 2015, Warwickshire, UK. Mayflower MCC. Hot Rod Rally. 23 to 25 January 2015. Holland. BSA OC. Krystall Rally. 11 to 15 February 2015, Rondablikk Høyfjellshotell, Kvam, Norway. Just because it is in a hotel don't think that this is an easy option. Temperatures this time of year can drop to minus 20 degrees. 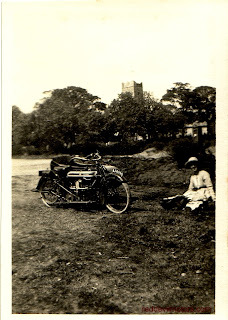 I originally labelled this Norton photo as a thirties Model 18. 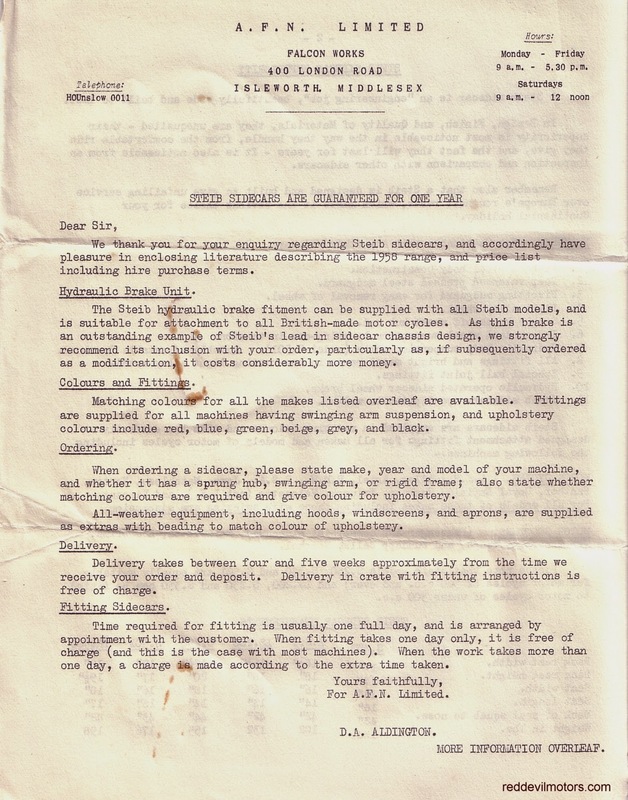 Many thanks to Karl who mailed to give the correct identification as a Model 50 from 1938. Apparently the Model 50 has a different oil tank and can also be spotted from the number of fins on the barrel and head. Enclosed valves were introduced in 1938 as was a revised timing case. The final indicator for the '38 model year is the lack of oil tell-tale. The reason he can be so sure of the model and year? He owns a '38 Model 50 himself. Many thanks Karl for getting in touch. 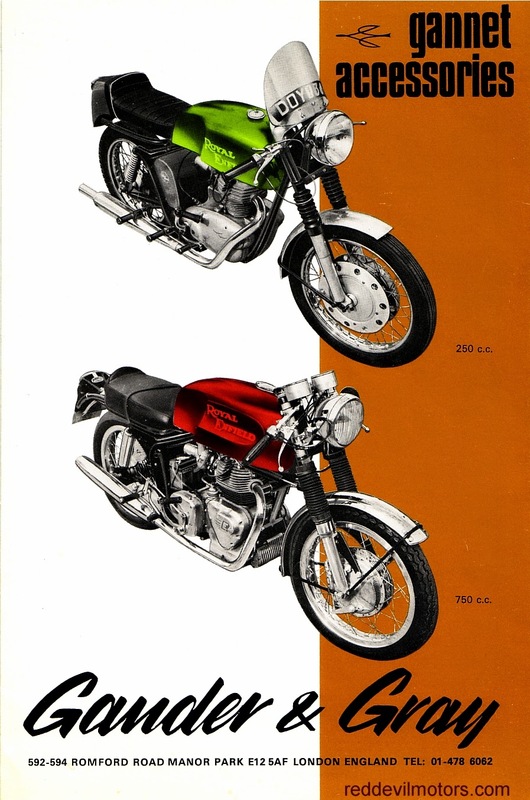 The early sixties and Japanese bikes had a lot to prove to the British motorcycling public. Soichiro Honda unleashed his masterpiece, the Super Cub, in 1959. The model entered the UK market in 1962. A new, untried and untested brand from a country that had a reputation for making 'knock off' products. In response Honda cleverly revived good old school techniques to market their machines. 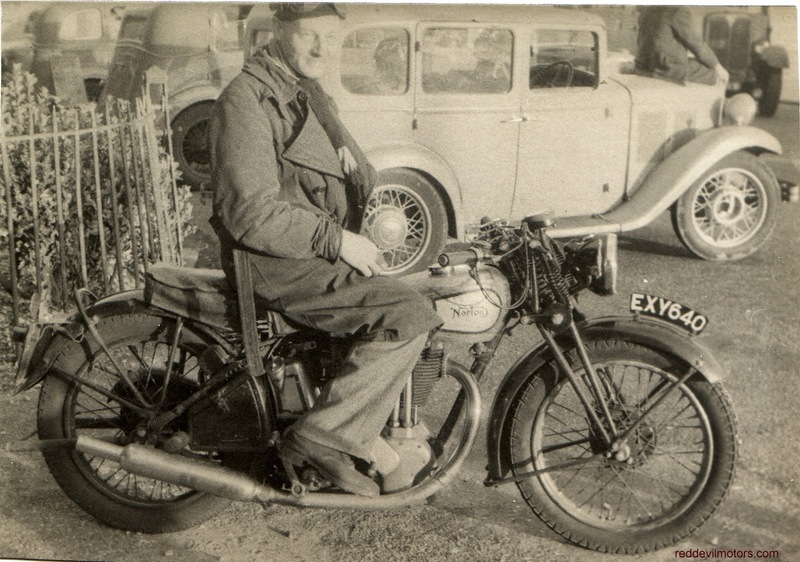 The Maudes trophy had been neglected by manufacturers since 1952 when BSA riders motored three 500cc A7 Star Twins to Austria to compete in the International Six Days Trial where they won Gold Medals. 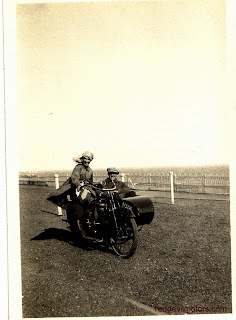 The bikes were then ridden home the long way through Germany, Denmark and Oslo where they did a speed trial to prove that they could still top 80mph and were then ridden back to the UK. 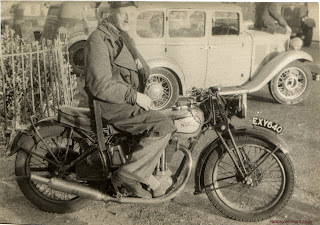 The Maudes Trophy was originally conceived of as an annual award for motorcycle endurance tests to be awarded to manufacturers for outstanding achievement. The Trophy was donated by George Pettyt the owner of Maudes Motor Mart of Great Portland Street in London. In practice manufacturers only made sporadic attempts on the cup and it was rarely awarded annually. To mark their entry to the UK market Honda took three 50cc Super Cubs to the Goodwood Circuit where they were ridden continuously for a week. Over the week the little Cubs covered 15,800 miles between them without problem (an average speed of just over 31mph). For this achievement Honda was awarded the Maudes Trophy which they held on to until 1973 when it was claimed by BMW. 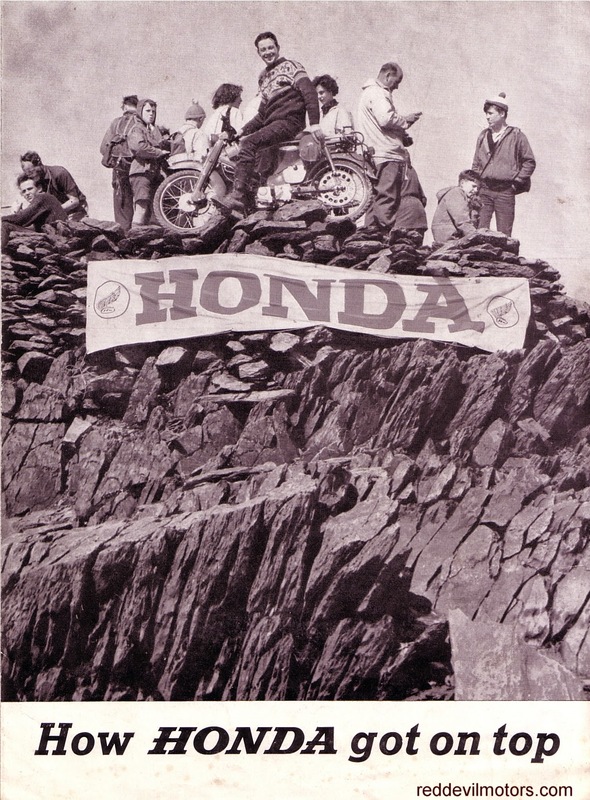 Not content with the Maudes Trophy Honda then in 1963 undertook more endurance stunts. 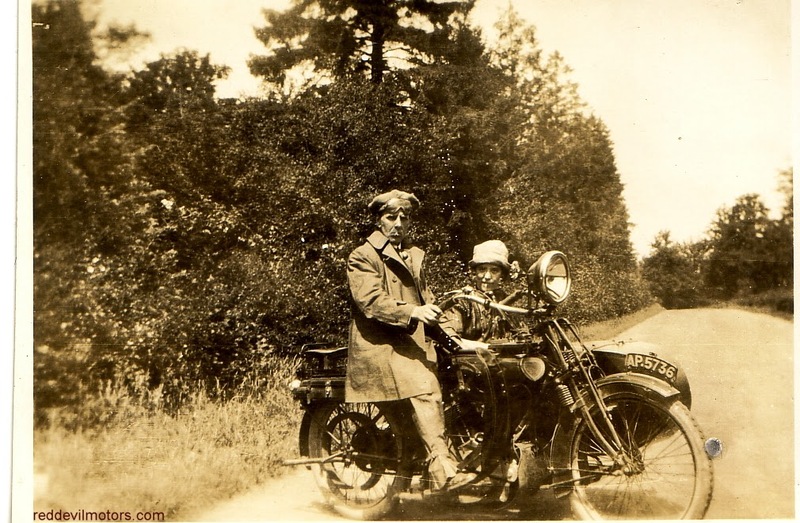 Like the Maudes Trophy attempt each ride had considerable historic precedent in the sale of motorcycles to the British public. The first feat was a winter's ride up Snowdon (see the Francis Barnett ascent of Snowdon in 1926 for precedent). This was followed by an economy run two up from London to Blackpool where an mpg of 128 was achieved. 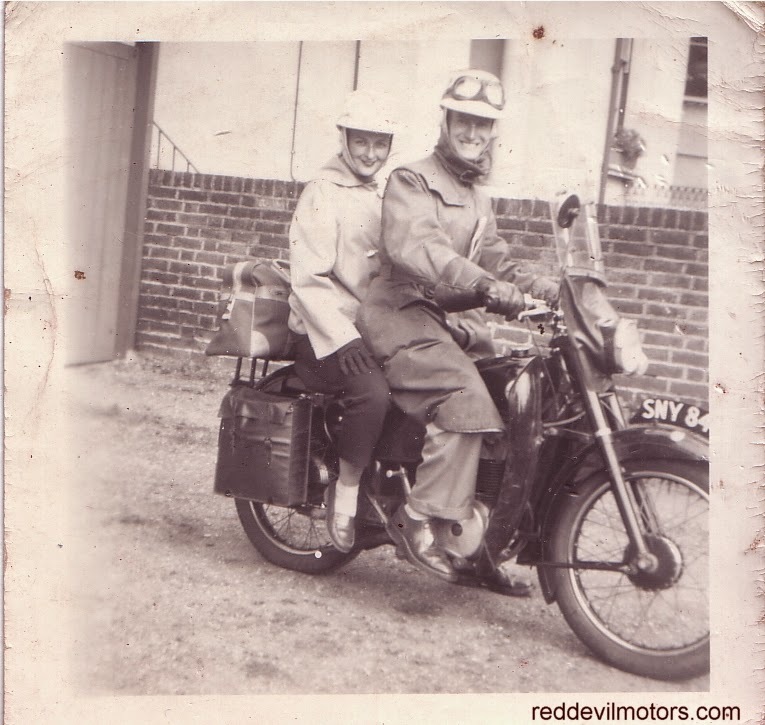 To add to the publicity the pillion was hard riding racer girl Beryl Swain. 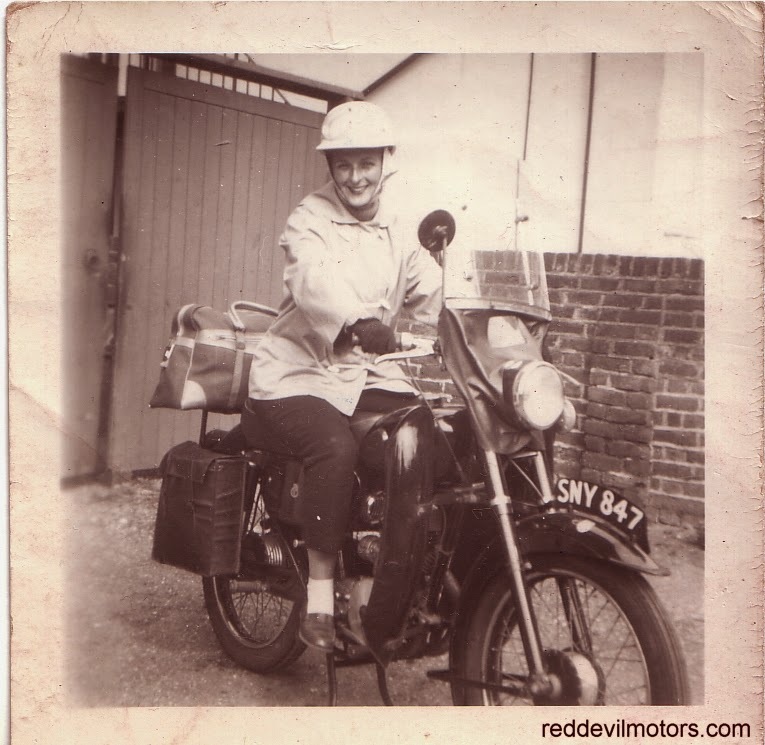 It no doubt helped that Beryl was glamourous and a 'celebrity' of the time being the first woman to complete an IoM TT; that she was a petite lass who normally raced the 50cc class was probably taken into consideration in the pursuit of economy. The final feat in the Honda endurance grand slam was a three week around Britain coastal ride on two Cubs averaging 30mph and achieving 142mpg over the course of the trip. How Honda Got on Top brochure page 1. 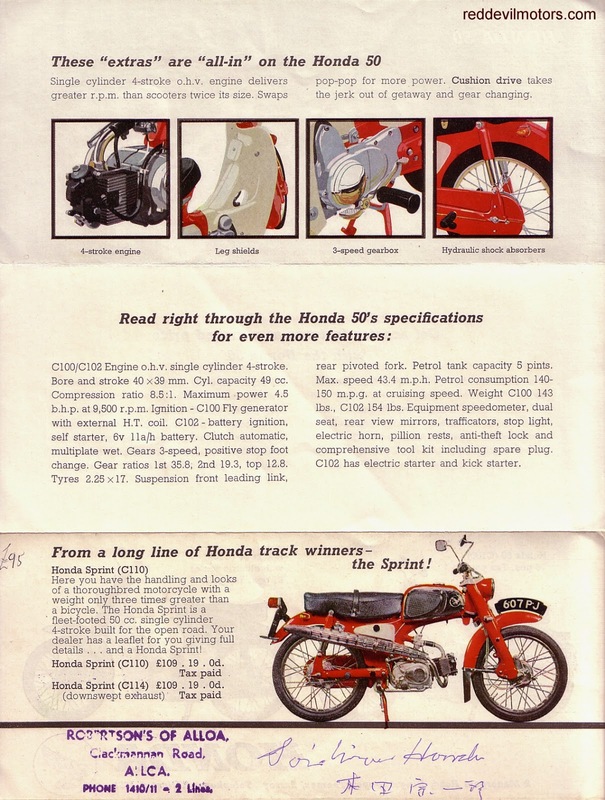 How Honda Got on Top brochure page 2. 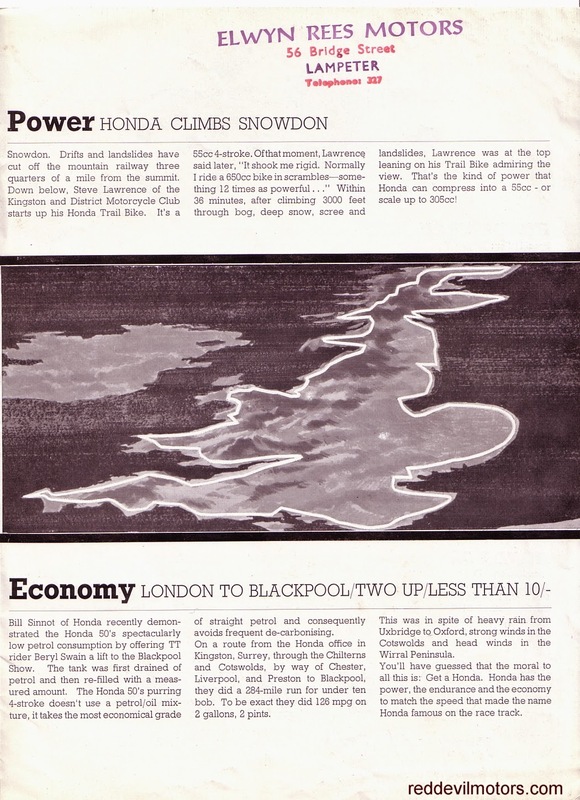 How Honda Got on Top brochure page 3. 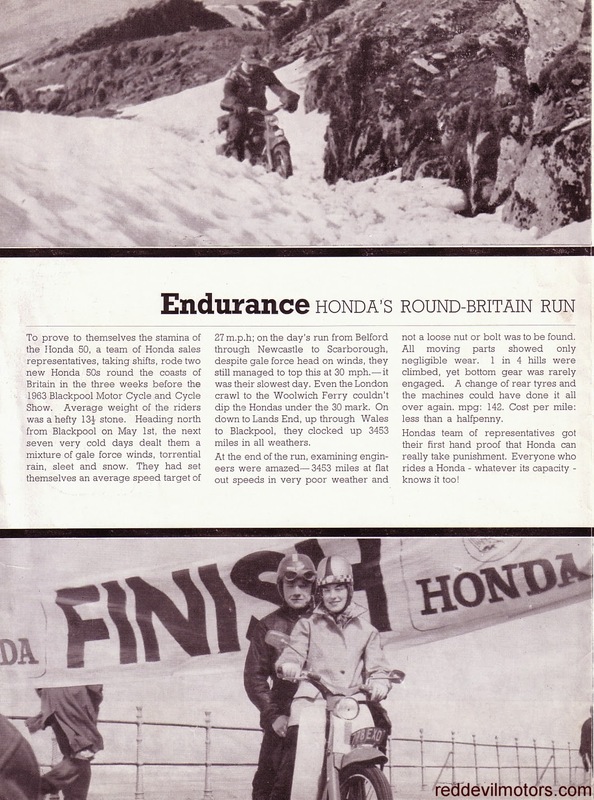 How Honda Got on Top brochure page 4. The first Honda arrived in Australia in 1956 and we started to see a few of them by 1958. Like everyone we were wary at first. Very different looks, a specification beyond belief. Starter motor! Indicators! Mirrors that didn't vibrate. Reliability. Nothing fell off! (although we were waiting for the motor to die after six months) They took Australia by storm. By the time they got to the UK the Japanese makers had foreign marketing sewn up. They'd had a lot of practice in Australia, the States, South Africa, etc, etc. You didn't have a chance and honestly, how did you think you could compete selling things like the Fanny Bee Plover, the Ariel Leader and the LE Velo? Personally I fell for Suzuki and had my first Suzuki before they ever appeared in the UK. I had quite a few over the years. Nowadays I play with vintage Villiers thingies but I will always deeply admire the early export Japanese bikes. A new addition to the workshop, I present the Meddings LF1. Meddings is still in business making machine tools today, the LF1 is a model from the sixties and seventies. This particular one originally saw service with the Southern Electricity Board. It's a light industrial use drill, still going strong nearly fifty years on and maybe I am foolish but it cost near as much as a new Made in China drill. More on the online mecca for vintage machine tools www.lathes.co.uk. 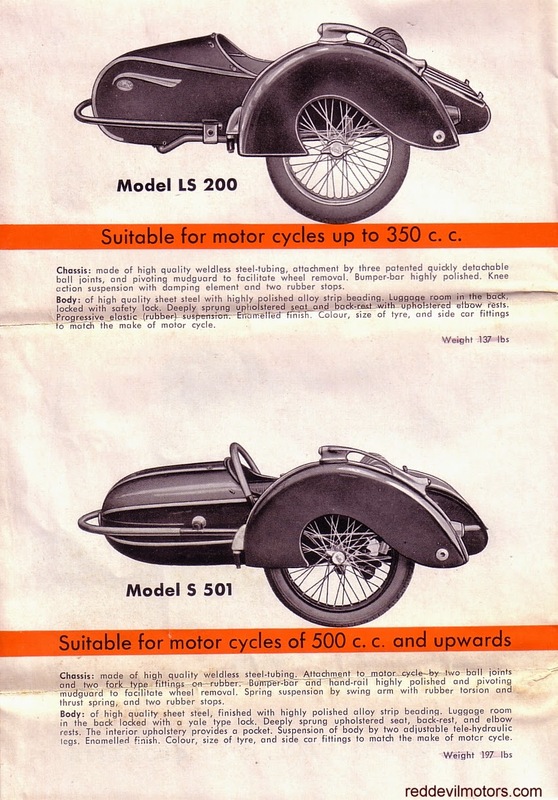 The Steib Sidecars brochure for 1957. I've included a copy of the brochure covering letter from the UK importers; it includes some useful further information such as dimensions of each model, features and sales blurb stating the superiority of the brand! 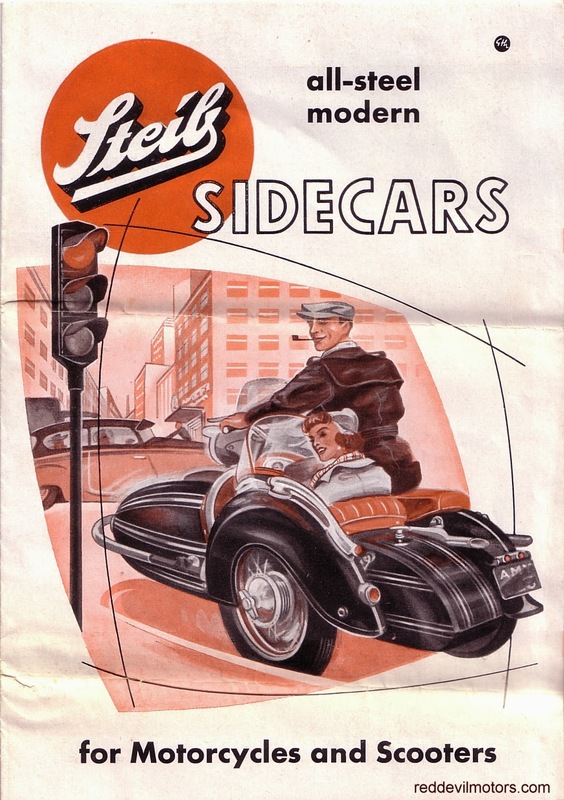 Steib Sidecars brochure 1957 front cover. 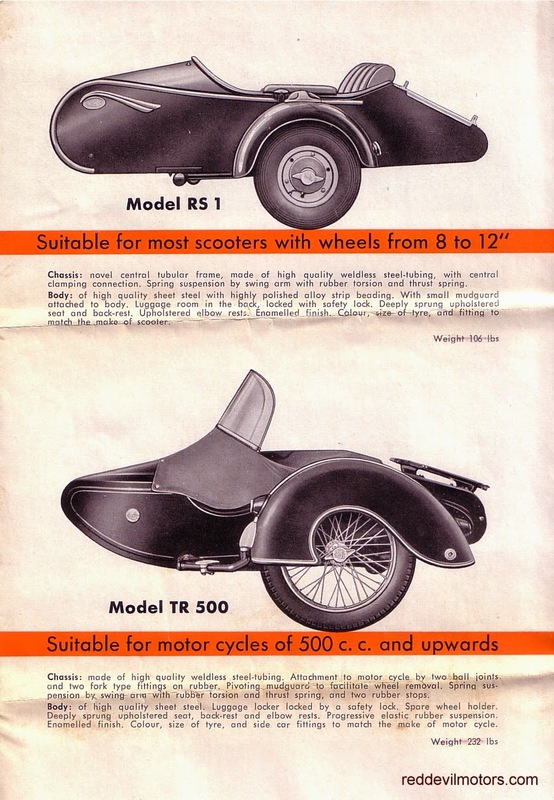 Steib Sidecars brochure 1957 page 1. 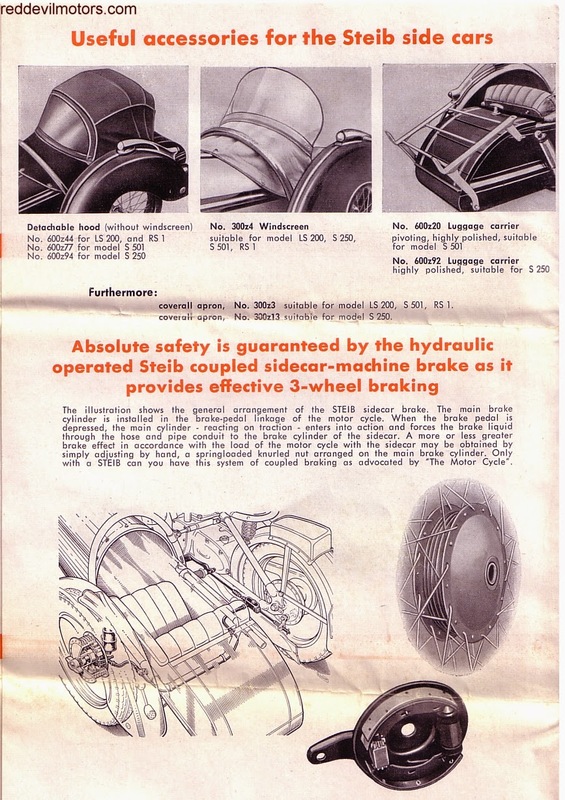 Steib Sidecars brochure 1957 page 2. 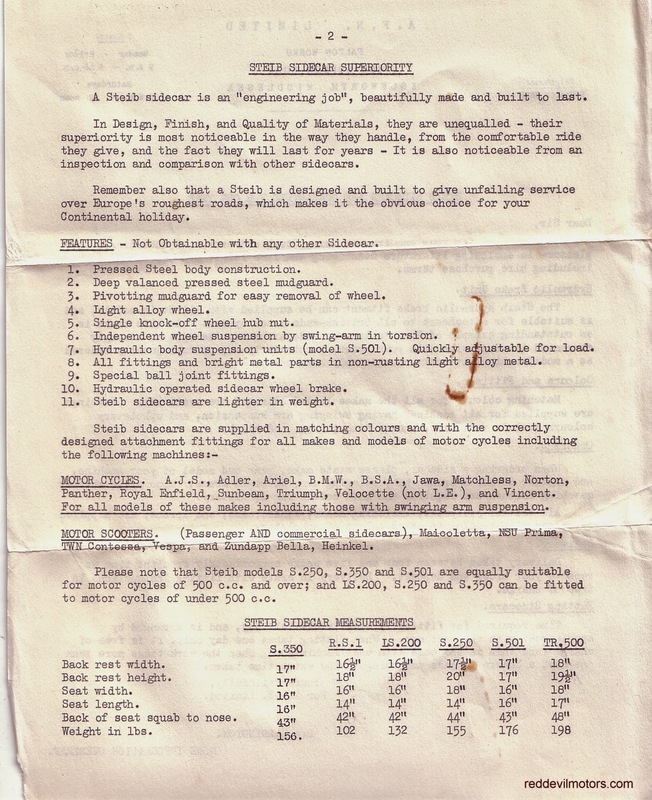 Steib Sidecars brochure 1957 page 3. 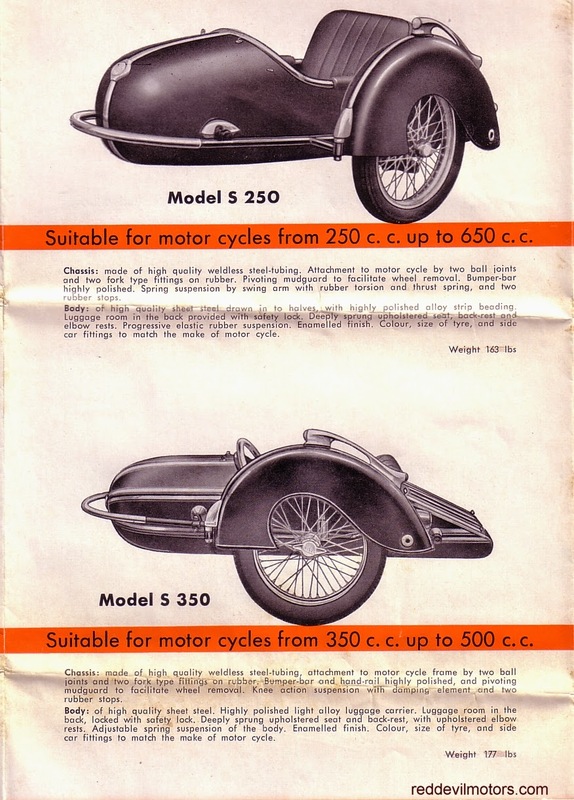 Steib Sidecars brochure 1957 page 4. 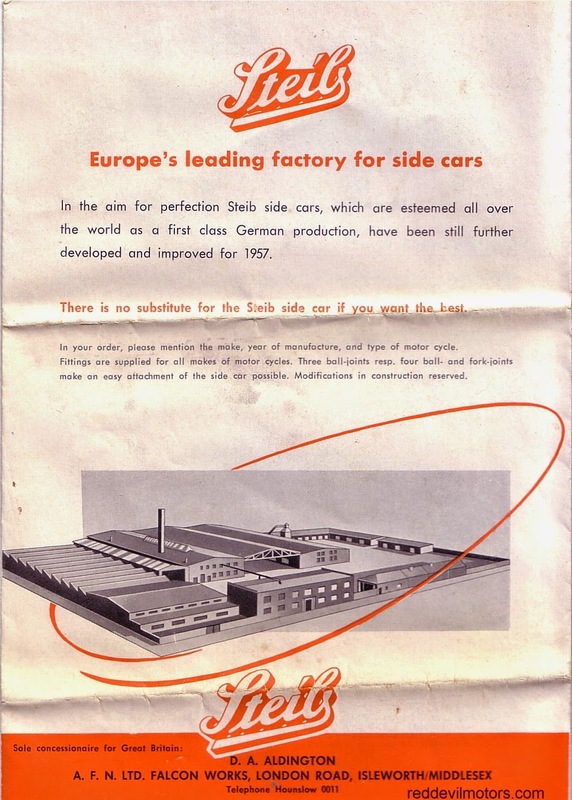 Steib Sidecars brochure 1957 rear cover. Steib marketing letter page 1. Steib marketing letter page 2. Lovely photo of a very grand Royal Ruby v-twin combo from the early post WW1 era. Check out the enormous headlight! 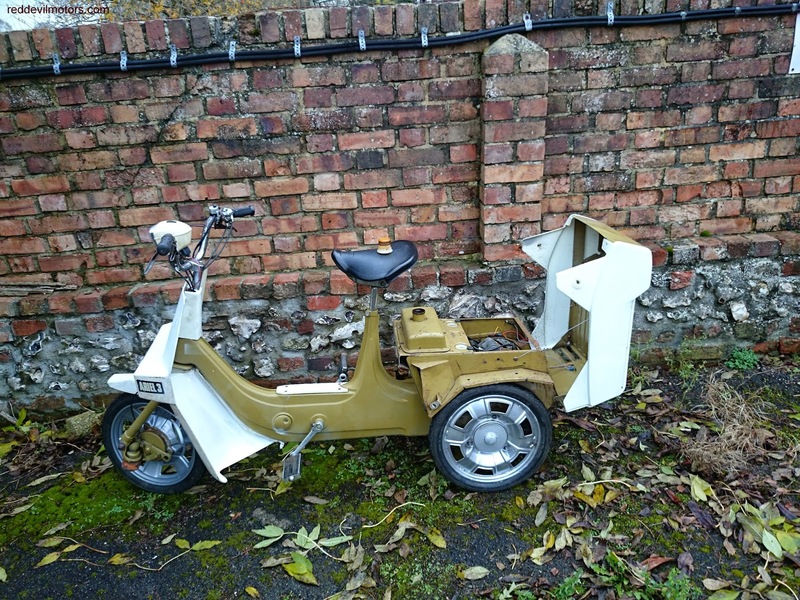 I foolishly passed by the opportunity to buy one of these a few years back when I had a part-time business importing bikes from India to the UK. I believe the bike did end up in Europe. Funny thing is that now prices of vintage machinery have shot up in India so much that the traffic is as much in to India as out. 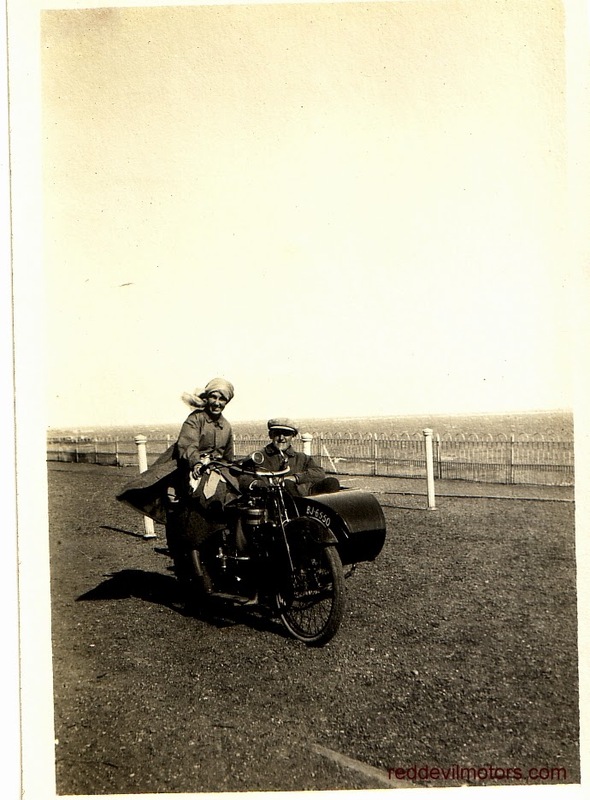 The bike in India was probably one of the batch produced in 1916 for the Russian Tsarist army, delivery of which was halted by the War and Revolution. JAP engined Royal Ruby v-twin. Maybe this is something I shouldn't admit but a few days ago I fulfilled a motorcycling ambition, a big tick on the two-wheeled bucket list. I had a go on an Ariel 3. The rottenness of the Ariel 3 is the stuff of legend, a bike so awful that it bought the mighty BSA empire down to its knees. A machine that was marketed with the strap-line 'Here it is, whatever it is.' Perhaps such a reputation should send a man running to the nearest Honda Cub but to me it arouses curiosity. 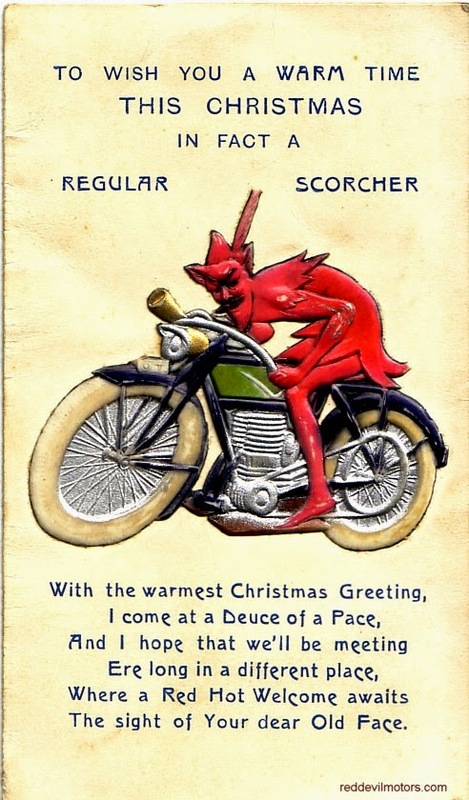 A forbidden fruit of the classic motorcycle world. In all its glory. The Ariel 3. Perhaps in years gone by I would have felt the need for some kind of disguise before swinging a leg over the 3 but am now of an age where I don't really care anymore. The shame and embarrassment has gone and I can laugh at myself from a distance for I appreciate that a 6'2 chap on an Ariel 3 is a truly comical sight. The 3 has a centrifugal clutch. The controls are a sprung-loaded choke operated by the left thumb for starting, a combined throttle and decompressor on the right (forward for decomp, pull back for 'go') and front brake lever on the right, rear on the left of the bars. 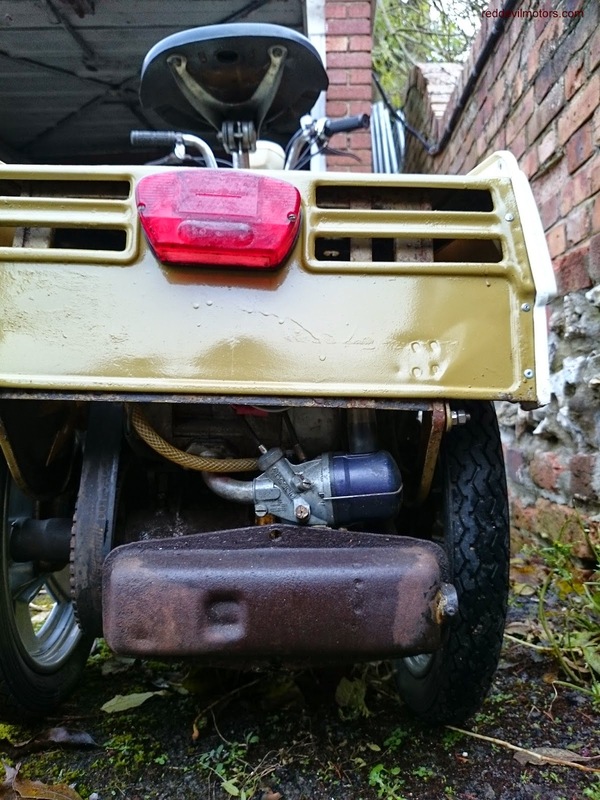 This example hadn't been run for a while so starting took a long push, probably in regular use it will fire easily with the pedals but they're really not there to cover any more than 20 odd foot with. This isn't a problem as once started there's no need for 'light pedal assistance' as on earlier 'peds. Beautiful it ain't. Not in any sense of the word. There's nothing strange about the handling at all, the only problem I had was that my size ten boots could rub a heel on a rear tyre whilst pedaling to start. Stability is good and it's fun to execute a low speed u-turn without the need for footing. The front brake was rather feeble, the rear was excellent. Rear braking is only on the left side wheel, a logical enough solution for cost saving but it does result in a slightly disconcerting pull to the left if you grab a big handful of brake. As for forward motion (performance is not a word that can be connected to the 3 in any way) it is adequate. 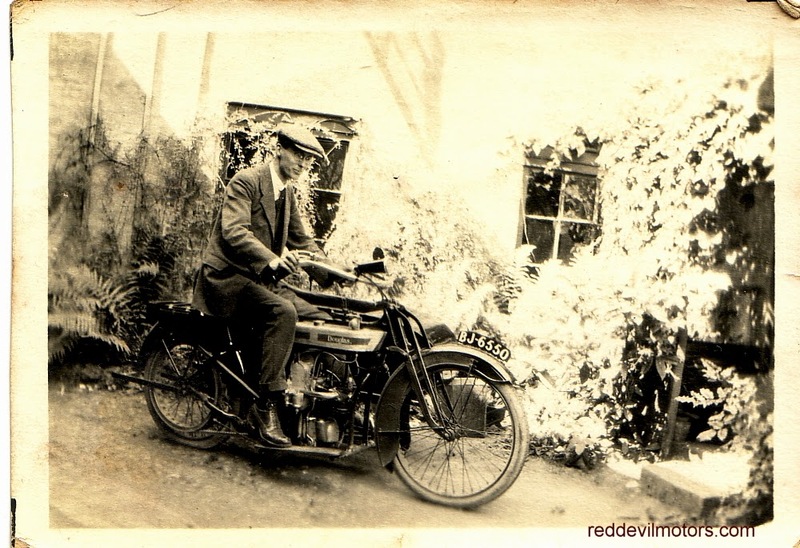 If you were used to a cyclemotor then it would have been a revelation. 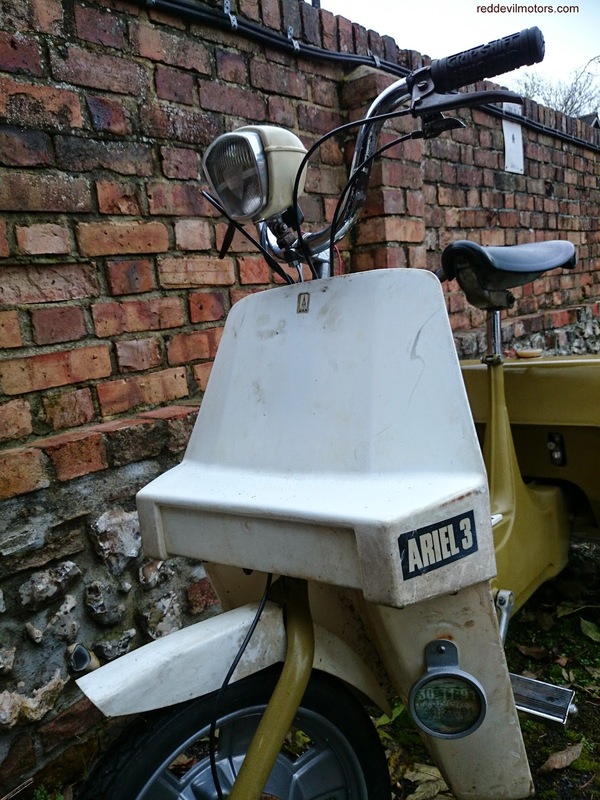 Had you previously sampled a French or Italian moped then the Ariel would likely have been very disappointing. However it did move forward, at a probable 15 to 20 mph, it didn't need any pedal assistance to get going and best of all it was actually fun! this it is still difficult to access. inlet tract and is worringly close to the silencer.